HTC One V launches on Bell today and is soon to launch with TELUS. Still lugging around an HTC Legend or maybe even an HTC Hero? Don't wan't to give up the unique design flair and compact design? Well I'm sure if that's the case the HTC One V has been in your sights since its announcement at Mobile World Congress two months ago. Now you can upgrade if you're a Bell customer and soon TELUS customers will be able to do the same as HTC announces that the HTC One V is now available from Bell starting today and will soon be available to TELUS customers. Check out the full press release after the break. While the One V is clearly the "lower end" of the One series, this is still a fantastic option for first time smartphone buyers, non-power users or people who want to keep the HTC Hero/Legend form factor. Not everyone wants a 4.3+ inch behemoth screen but still deserves the latest software, featuresand build quality and the One V delivers with Android 4.0, Sense 4.0 as well as ImageSense and Beats technology. The unibody aluminium chassis also gives it the premium feel of a higher end handset. TORONTO, May 3, 2012 /CNW/ - HTC, a global designer of smartphones, announced the HTC One™ V, part of its highly anticipated HTC One series of smartphones, is available today on the Bell network and is coming soon to TELUS. The HTC One series represents HTC's most premium mobile experience with a new level of iconic design, amazing camera and authentic sound experience. With the HTC One V, HTC integrates Android™ 4.0 (ICS) with HTC Sense™ 4, the new version of HTC's branded user experience with HTC ImageSense™, a new suite of camera and imaging features that set HTC One apart from other phones. HTC Sense 4 also includes broad enhancements to audio quality and simplifies how people listen to music on their phone. "Consumers wanting a smartphone that packs a powerful punch, and fits seamlessly into their everyday lives need look no further than the HTC One V," said Rick Babington, executive director, HTC Canada. "This marks the North American launch of HTC One V. With its amazing camera, standout design and quality HTC craftsmanship, we're confidant Canadians will find the device hard to resist." Amazing CameraWith HTC ImageSense, the HTC One V offers an amazing camera that delivers fast image capture, better image quality under adverse conditions, and an easier interface with side-by-side photo and video capture buttons. The camera can be quickly activated from the home screen and the superfast autofocus enables continuous shooting to ensure you don't miss those special moments. The 5-megapixel camera with f/2.0 back illuminated sensor, means more light is allowed into the sensor to capture quality photos in adverse conditions such as low light, no light or with bright backlighting. With HTC Video Pic™, the smartphone is also capable of capturing still photos while simultaneously recording HD video, and in addition, can capture still images during video playback. HTC Sense 4 also integrates Dropbox, enabling customers to get 25 gigabytes of free Dropbox space for two years - enough to keep more than 10,000 high-quality photos - and making it easy to edit, save and share photos, videos documents and other kinds of files. Authentic SoundHTC One V also provides authentic sound with Beats Audio™ that allows listeners to experience music as the artist intended, creating rich, premium sound experiences whether listening to music, watching a movie, or playing a game. HTC Sync Manager software makes it easy to transfer songs, artists and playlists from a music library on a computer to the smartphone. And the HTC Car Stereo Clip* also allows customers easily to bring their mobile music to their car's sound system. Iconic DesignUtilizing the classic, award-winning design of the HTC Legend, the HTC One V brings iconic design to a smartphone with broad appeal and a premium experience. The timeless, simple aluminum unibody architecture and slightly curved chin allow the HTC One V to fit smoothly in the palm of your hand. The 3.7 inch screen is a delight to the eyes, is made out of reinforced glass and is scratch resistant. 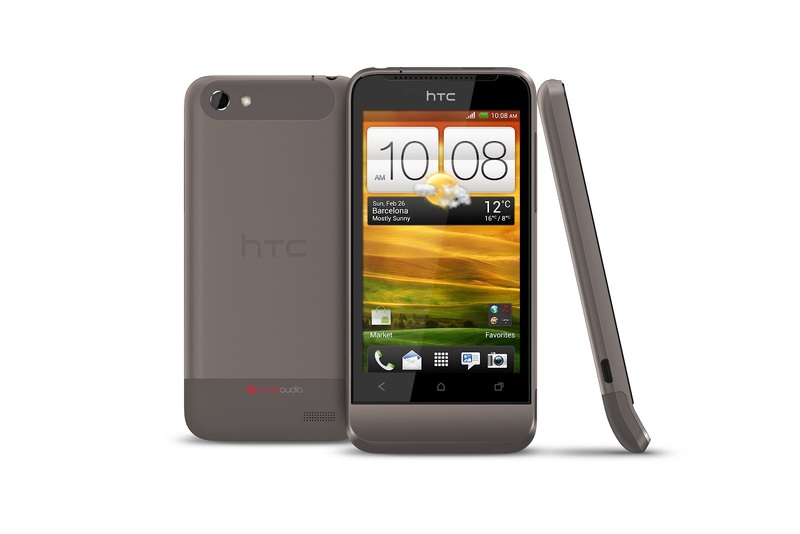 The HTC One V also features a Qualcomm™ Snapdragon S3 1 GHz processor, and is supported by a 1,500 mAh battery. AvailabilityThe HTC One V will be available in Canada from Bell beginning May 3, 2012, and will be available from TELUS later this month. For pricing and information, please visit: Bell.ca/OneV,telusmobility.com/HTCOneV or htc.com/www/smartphones/htc-one-v.
About HTCFounded in 1997, HTC Corporation (HTC) is the creator of many award-winning mobile devices and industry firsts. By putting people at the center of everything it does, HTC pushes the boundaries of design and technology to create innovative and personal experiences for consumers around the globe. HTC's portfolio includes smartphones and tablets powered by HTC Sense™, a multilayered graphical user interface that vastly improves user experience. HTC is listed on the Taiwan Stock Exchange (TWSE: 2498). For more information, please visitwww.htc.com. * HTC Car Stereo Clip is sold separately.